Realistically Reduced and Priced to Sell - Come and View Me! From our office head up Thornton Road. Go straight ahead at Four Lane Ends traffic lights. Take the second turning on the right on to Olive Grove. Number 31 is the last property on the left. 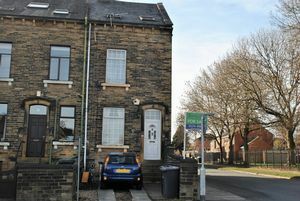 Dinsdales are pleased to offer for Sale this End Terraced property in Fairweather Green. 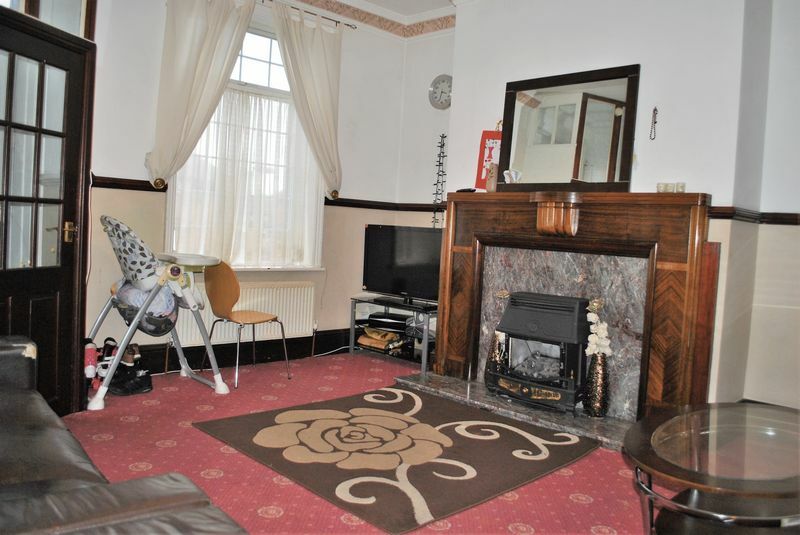 Briefly comprising of an entrance vestibule, a kitchen/diner, large reception room, three bedrooms and larger than average family bathroom. 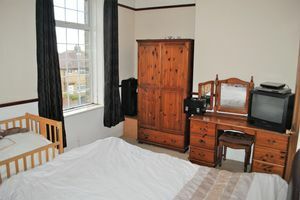 Benefiting from double glazing, central heating and a house alarm. Externally there is a low maintenance walled yard providing off road parking. 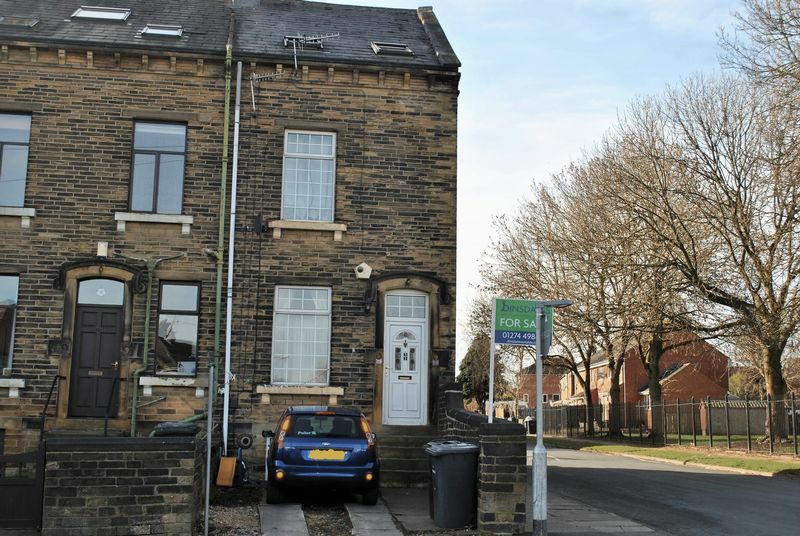 In our opinion this property would suit a small family and is situated close to schools, supermarkets and the main bus route in to Bradford City Centre. Energy Rating E.
A Upvc entrance door, alarm panel, coat hooks and dado rail. A good sized L shaped reception room. 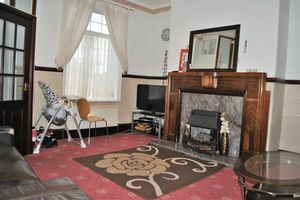 Three double glazed windows, two radiators, two feature ceiling roses, cornice and dado rail. A large feature wooden and marble effect fire place with a living flame gas fire. Stairs leading to the lower ground kitchen diner and stairs leading to the first floor. 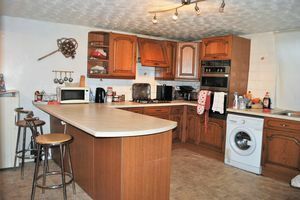 A range of Oak wall and base units with a complimentary work surface and breakfast bar. 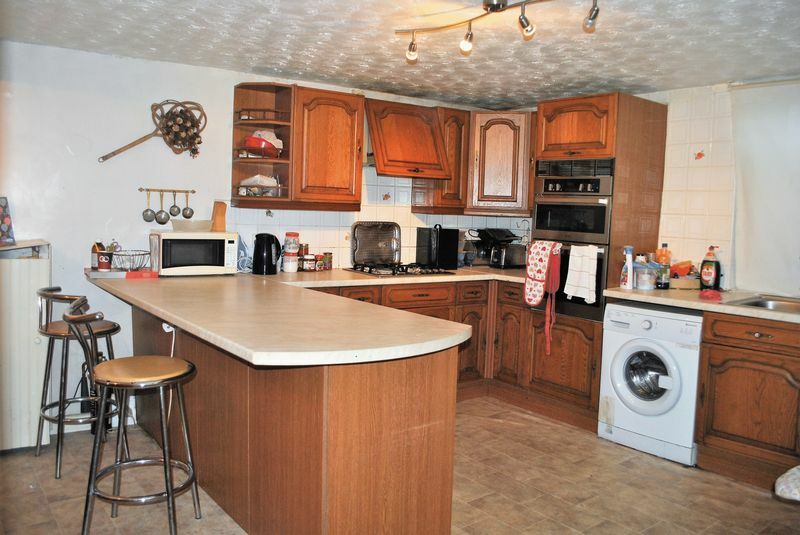 A stainless steel sink with mixer tap, an integral gas hob and electric double oven. Built in extractor fan and plumbing for a washing machine. 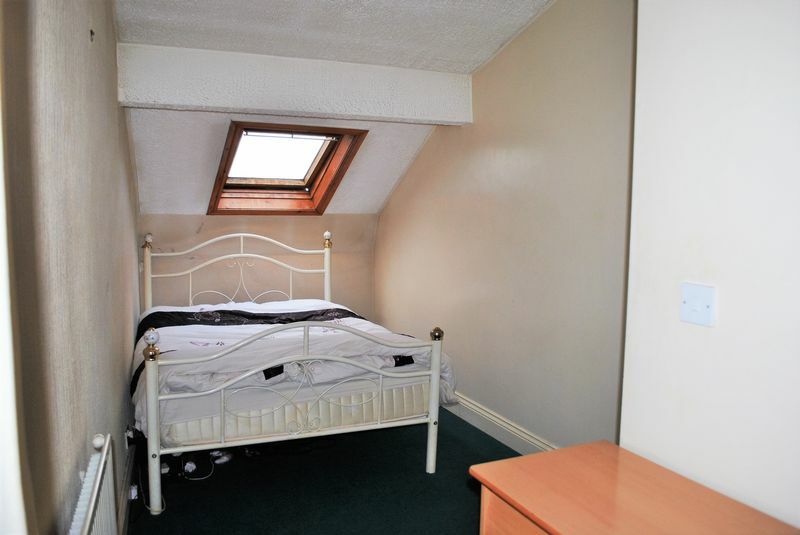 A double glazed window, radiator, part tiled walls, a textured ceiling and two four way track lights. A Vokera combination boiler and gas/ electric meter cupboards. Lino flooring to the kitchen area and wooden flooring to the dining area. Stairs leading to the first floor & to the attic bedrooms. Smoke detector. A front facing double bedroom with a double glazed window, alcove, radiator and picture rail. 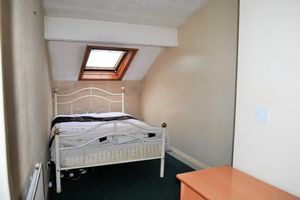 L shaped room with a double glazed window and a Velux window. A radiator and loft hatch. The loft is insulated. A Velux window, radiator and store cupboard. 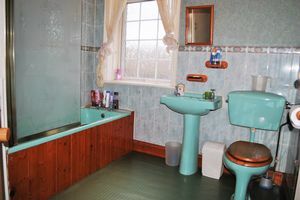 A good sized bathroom with a double glazed window, three piece green suite and an electric over bath shower with glass screen. 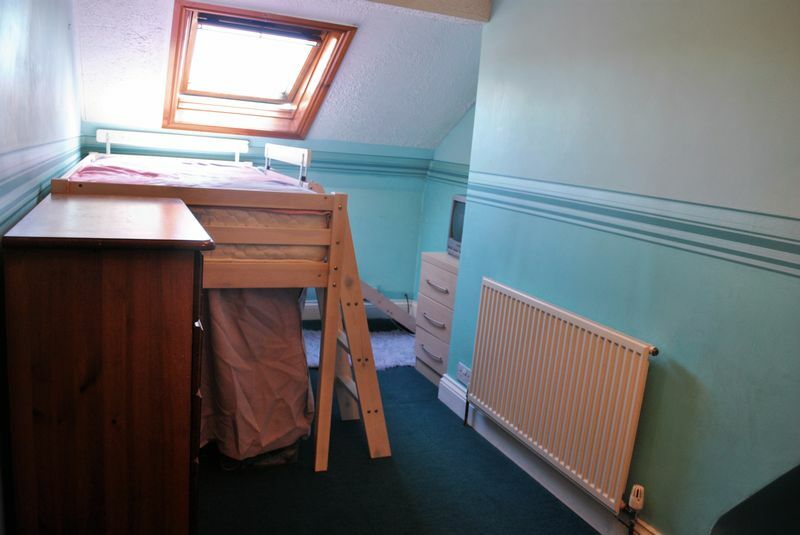 Part tiled walls, wooden panelled ceiling, radiator, linoleum flooring, and built in cupboards. To the front of the property there is a low maintenance walled garden providing off road parking. Bradford Council Tax Band A £1083.07 Approx for 2019/2020. Green bin collection is on a Tuesday fortnightly. Gas, Electric, Water and Drainage. According to their websites both Sky & Virgin Media are available at this property. Dinsdales Estates Sales, Lettings and Property Management are keen to stress the importance of seeking independent mortgage advice. This can be arranged through our office via a panel of experienced advisers, who can meet you in our office or in the comfort of your home.